Momentum abounds at Nebraska Innovation Campus as more UNL researchers, students and private partners settle into state-of-the-art facilities. Doors opened in mid-2015 at the much-anticipated Food Innovation Center and the Greenhouse Innovation Center, attracting new tenants and partnerships on the private-public research campus being developed adjacent to UNL. 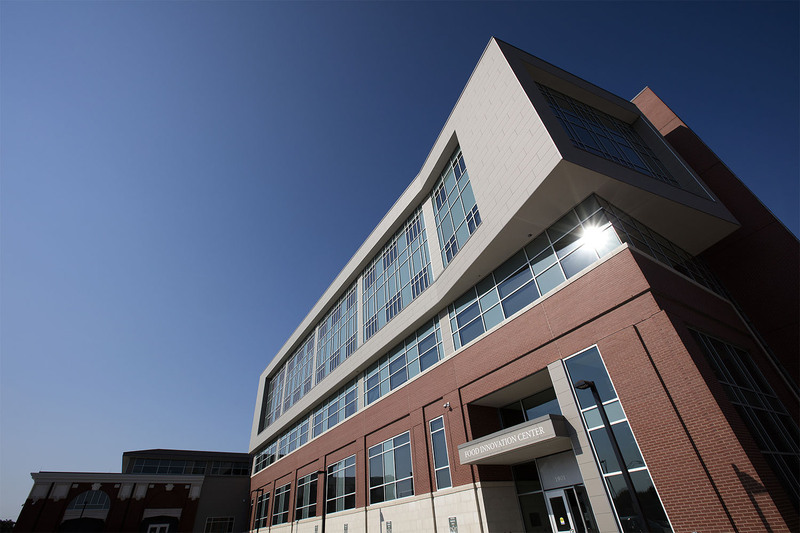 The Food Innovation Center, designed to be a leading food industry resource, now houses UNL’s Department of Food Science and Technology and the Food Processing Center. It’s also home to NIC’s first corporate partner, ConAgra Foods, and other businesses. The 178,000-square-foot facility integrates the repurposed Industrial Arts Building with new construction. Proximity to top food scientists and private businesses helped NIC become headquarters for the Nebraska Alliance for Advanced Food Sanitation, a partnership of food industry leaders Cargill, Commercial Food Sanitation, ConAgra, Ecolab, Hershey, Kellogg, Nestle and Neogen, and UNL food scientists. UNL is hiring a director to oversee the alliance, which aims to update industry sanitation protocols and equipment. 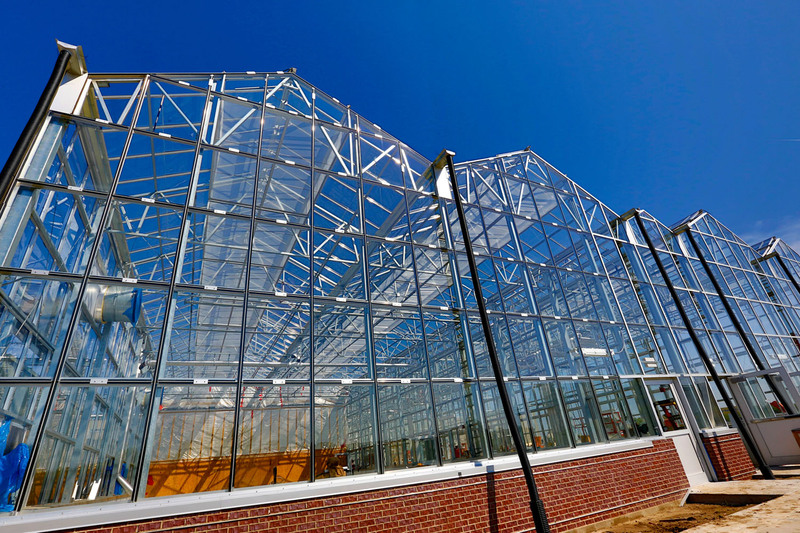 The Greenhouse Innovation Center is a boon to UNL plant scientists, and industry interest in using the facility is high, said NIC Executive Director Dan Duncan. The centerpiece of the 45,000-square-foot complex is one of the few publicly available LemnaTec Scanalyzer high-throughput phenotyping systems. Using this advanced digital imaging system, scientists can comprehensively study complex plant traits. More growth chambers and conveyor belts are being added this fall, and office and wet lab spaces also are planned. The greenhouse expansion will wrap up Phase I construction at NIC ahead of schedule. By late summer 2015, several Nebraska companies announced plans to move to NIC, taking advantage of opportunities to work closely with UNL faculty and students. Metagenome Analytics LLC, NIC’s first faculty startup company, provides bioinformatics expertise to the food and health sectors. Andrew Benson, W.W. Marshall Professor of Biotechnology, leads MGA with partners that include UNL faculty, postdocs and alumni. Quantified Ag, the first startup company at NIC, is collaborating with UNL researchers involved in agriculture and big data. Food Dreams Made Real/Suji’s Cuisine USA plans to open a research and development office. It is partnering with UNL’s Food Processing Center to create quality precooked Korean foods to be sold at U.S. warehouse stores. NuTek Food Science also plans to open a research and development office, furthering an existing collaboration with the Food Processing Center to market “better for you” salt products. Intellifarm Inc., focused on technology solutions for agriculture, is partnering with UNL on research and offering internships for engineering and business students. Hastings HVAC is expanding its scope by conducting pollution remediation research at NIC. Echo Canyon Services, a data service and software company, is offering internships to attract student talent. The Association of Public and Land-grant Universities designated UNL as an Innovation and Economic Prosperity University in 2015, recognizing UNL’s strong commitment to economic engagement. 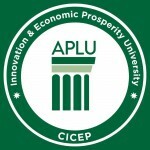 The designation acknowledges universities that work to advance the economic well-being of their states and regions through research, education and engagement. UNL was one of 18 designees for 2015. UNL’s application highlighted its expanding research partnerships with industry; Nebraska Innovation Campus development; research and education opportunities for students; and statewide engagement through Nebraska Extension. 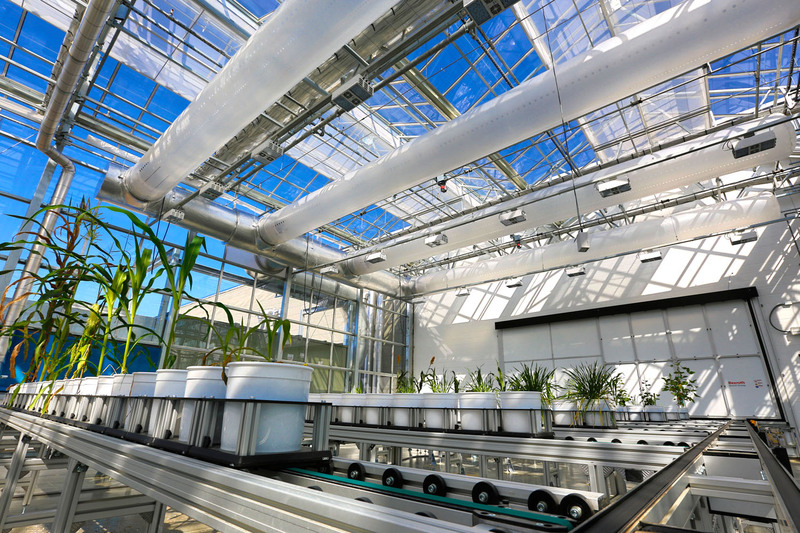 Plants move on a conveyor system in the Greenhouse Innovation Center on Nebraska Innovation Campus. 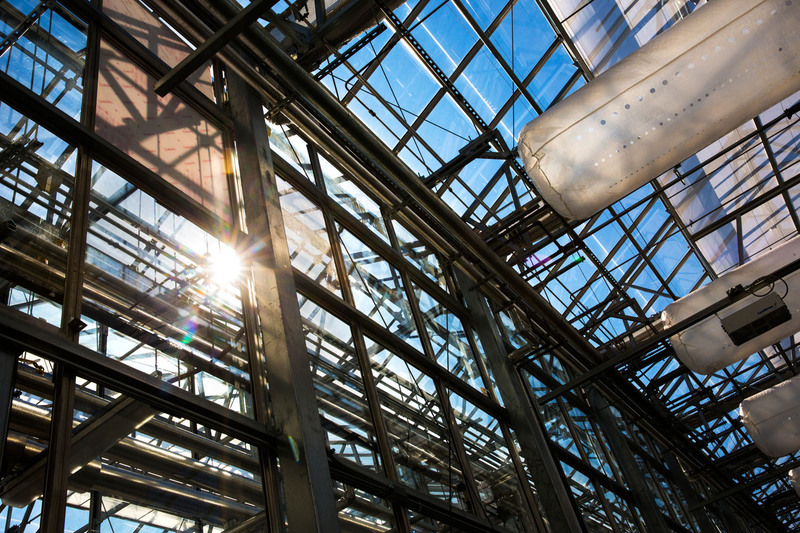 The Greenhouse Innovation Center features 45,950 square feet of greenhouse and headhouse space. The greenhouses are 22 feet tall at the eaves to allow optimal air flow. They are heated and cooled with sustainable energy. 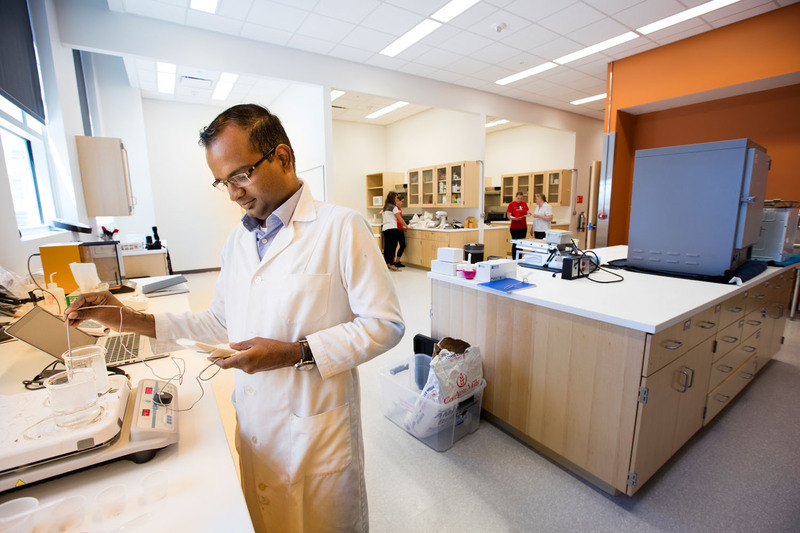 Postdoc Krishnamoorthy Pitchai conducting research in a Food Innovation Center lab. The 178,000-square-foot Food Innovation Center serves private/public partnerships.